Today, I had the chance to snap a few pics while riding Soarin. 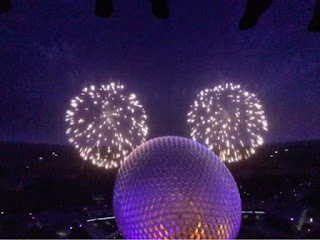 There are some hidden Mickey's in this new version, including this one formed by Spaceship Earth and fireworks. I like how the final destination in this attraction is now Epcot.